The issues in blue suede and red suede sold out pretty much instantaneously. 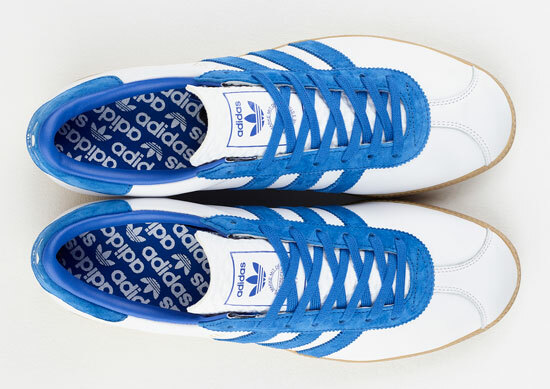 The Adidas Originals Archive Athen trainers in white leather will probably follow suit. 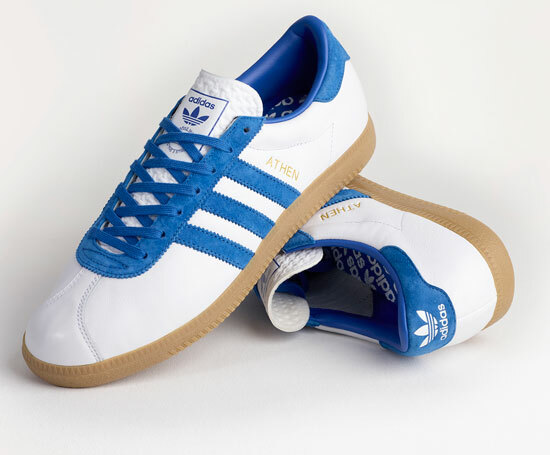 This is a sought after shoe, dating back to the 1960s and not really a regular reissue until fairly recently. This version of the 1967 design (originally called the Jaguar before becoming the City Series Athen) is a new finish – white leather with blue detailing. It’s also an exclusive to Size? if you want it. 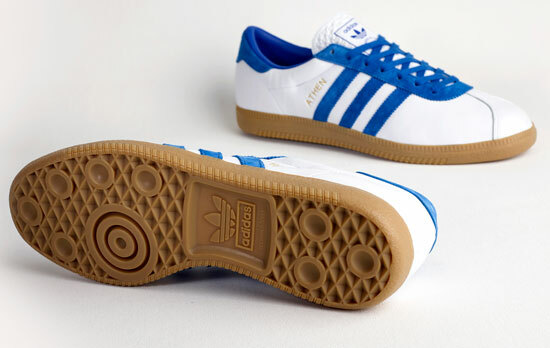 The stripes and details are suede against the leather upper (essentially a flip of the original). 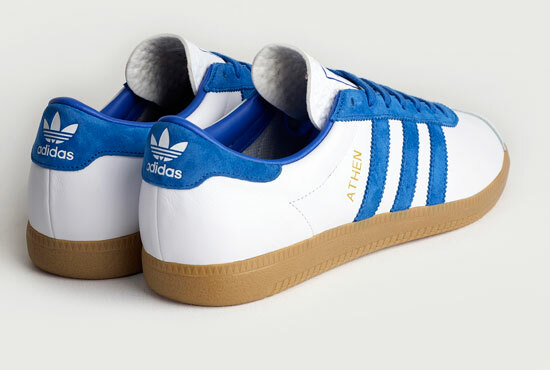 The gold foil ‘Athen’ branding is above the top stripe, and the gum Odenwald midsole finishes things off. Like we said, expect these to be huge. With that in mind, get up early on Friday 14th April. The price is £80.